In order to be a great power, three things are required: a reasonably large land area, a reasonably sizable population, and a reasonably large total wealth. In order to be the Great Power, you need to be at the top or fairly close in all three categories. Just one or two categories won't do it. Luxembourg and Singapore regularly top the charts for personal income but they are basically city-states. Though they are both technically independent countries with all the rights and privileges pertaining thereto, they are simply too small in size to be great powers. They provide an excellent way of life to their citizenry which is no mean accomplishment, but that's pretty much it. At the other extreme you have Canada. It is the second-largest country on earth and in personal income is solidly a member of the rich world. The trouble is, there just aren't that many Canucks and half of them wish they were something else anyway. So again, Canada is a comfortable place to live with loads of elbow room, but not really a great power nor has it any serious prospect of ever becoming one. Then you have India, China, and Russia. All three are more than large enough in land area to be a great power. For many years Russia in fact was a superpower. Why isn't it now? Because both its economy and its population collapsed. It could be great again someday, and Mr. Putin desperately wants it to be, but until he can convince the Russians to have more kids and to found successful companies which can pour more revenue into the treasury it isn't happening. India and China have no shortage of manpower, to say the least. Until recently, however, their economies had been handicapped by over-regulation - of the Communist sort in China, and by the "license raj" bureaucracy in India. Both thickets have been seriously chopped back, with the natural result that the Chinese and Indian economies are exploding as America's did before we became over-regulated and overtaxed. As long as China and India were populated mostly by the dirt poor, they didn't matter much on the world stage. They were nuclear power which needed to be treated with respect, but neither China nor India did much international trade and neither of them had the military resources to project power very far outside their borders. This has changed. Both nations have a burgeoning middle class with American taste for comforts and entertainment. As a democracy, India's rise has been mostly peaceful. In the long term, China's may be as well; in the short term, China's rulers feel otherwise. America has been the world's superpower for a long time, but the math is not on our side. Both China and India have three times America's population; when their average individual wealth approaches that of Americans, their national wealth will obviously be three times ours and they will have the military power to match their wealth. Individual wealth doesn't have to match ours to cause big problems. As the Telegraph pointed out, China's total economy will mathematically equal America's even when individual wealth is but a third of ours because there are three times as many Chinese as Americans. From the point of view of individual satisfaction, this is fine. Americans are individually far wealthier than the average Chinese and probably will remain so for a long time to come. National power is an entirely different matter. Even with three times as many people making one-third as much, the Chinese economy would be the same size as ours, and thus the taxing potential would be the same size as well. At that point, China could easily afford to build a military equal to ours; they are already working on it, and they've certainly been accumulating a great deal of technical prowess. In a way it's even worse than that. 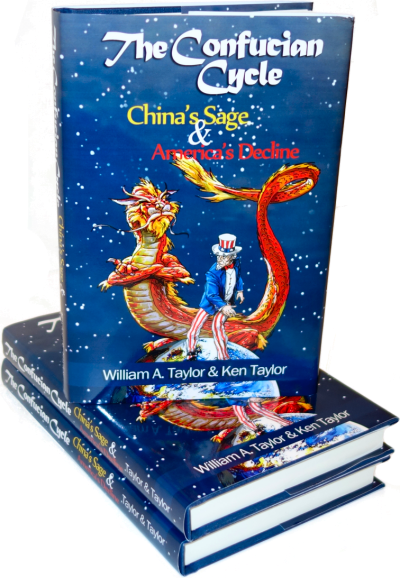 In dollar figures, China's total economic power is far below America's and will be for some time. The equivalent is in something called Purchasing Power Parity - or, the amount of actual goods that can be bought. China famously has low wages; anything made with Chinese wages is naturally going to be cheaper than the same item made in America. We see this in Wal-Mart here in America, but in China it applies to almost everything - because obviously, almost everything in China is made or done by the Chinese living there. The American military pays American wages; the Chinese military pays Chinese wages and so can buy and equip three times as many soldiers for the same money. Only in internationally-traded goods is Purchasing Power Parity irrelevant, most noticeably oil and other natural resources. China is aware of the problem; that's why it's been cutting deals with African nations to buy their vast untapped mineral wealth and is happy to buy oil from Iran and other outlaw regimes that the West is too prissy to buy from and too pusillanimous to crush militarily. They're even working with the Cubans to drill Gulf oil that we could get for ourselves if Mr. Obama would only allow it. First, something unfortunate may happen in China that crushes its surge of freedom and wealth - a return to Maoism, a military coup, or some other political disaster. This would be very sad for the Chinese but convenient for us. However, it's equally possible that the Chinese enjoy their new freedoms and would fight were they taken away, leading to a freer, wealthier, and even more unified power. Second, American ingenuity might concoct the Next Big Thing that vaults our economy and wealth above all others. This is what has worked for 100 years - with mass production, mass industrialization, the computer revolution, modern management, mass higher education, the Internet, and so on. We've written extensively about how our government is making innovation as difficult as it can, but you never know. 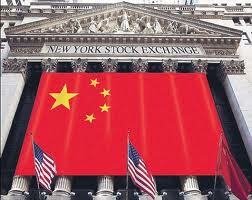 Third, China's wealth and power will grow and will exceed ours far sooner than Americans think. The day could easily arrive within the next Presidency or two when China does something we don't like, we ask them to stop, and they blow us a razzberry. When the President has a serious chat with his Joint Chiefs, he finds out that we no longer have the ability to impose our will on the Chinese at acceptable cost. What will a world dominated by China look like? If we don't want to find out, we urgently need to restore the small-government, low-tax, low-regulation policies that brought about the American Century.